Scythe's best-selling flagship cooler is now in its fifth iteration. The Ninja 5 has improved performance and is supplied with two extremely quiet fans. The 5th generation of the Ninja CPU Cooler series offers some interesting new features. The Ninja 5 includes two Kaze Flex 120 PWM fans which are significantly more silent solution without compromising the high performance that users expect from the Ninja Series. This goal has been achieved by mounting the two fans using the Push/Push principle and setting the fan rotation limit to only 800 rpm. The award-winning Kaze Flex fans use Sealed Precision Fluid Dynamic Bearings for a long lifespan of 120,000 hours (MTTF). 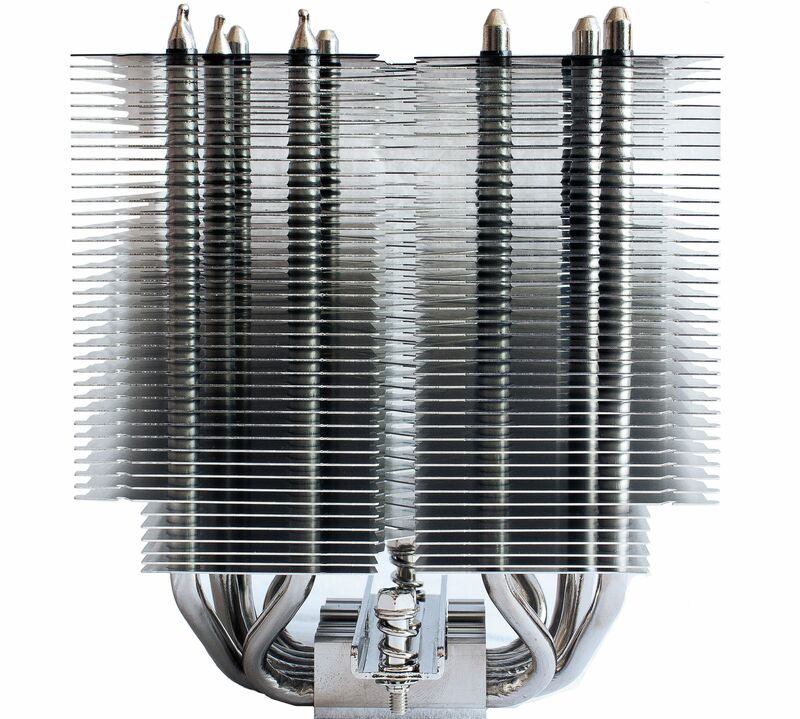 The heatsink is designed for high compatibility, supporting even LGA 2066 motherboards with eight RAM slots. Six nickel-plated 6-millimeter copper heatpipes, a nickel-plated copper base-plate and the black anodised top-plate underline the high-quality workmanship. In addition, the third version of the Hyper Precision Mounting System (H.P.M.S.) is used, which significantly simplifies assembly and offers compatibility with a variety of sockets of the processor manufacturers AMD and Intel. 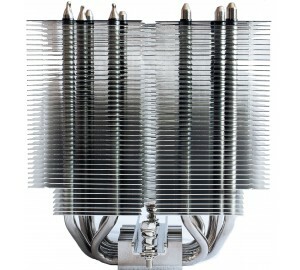 Heatsink Details The H.P.M.S. III is the latest version of the Hyper Precision mounting system which combines a solid platform with an easy and hassle-free installation process. Spring-loaded screws and a metal backplate assure even distribution of both weight and pressure on the CPU surface and socket. New plastic / rubber spacers align the mounting screws and secure the backplate during installation which further simplifies the process. Heatsink Details The Ninja 5 CPU Cooler features a special fin design to improve memory compatibility without compromising the cooling performance. 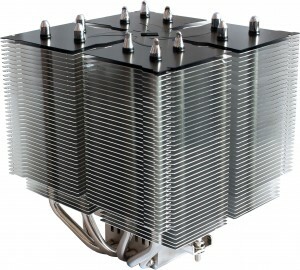 The lower fins are reduced in size to allow installation of RAM modules with heatsinks up to 55 mm in height. These fins are present on both sides of the cooler, thus offering memory clearance even for LGA 2066 mainboards with eight memory slots. Heatsink Details The Ninja 5 CPU Cooler features two Kaze Flex 120 PWM fans with a max. speed of only 800 RPM. 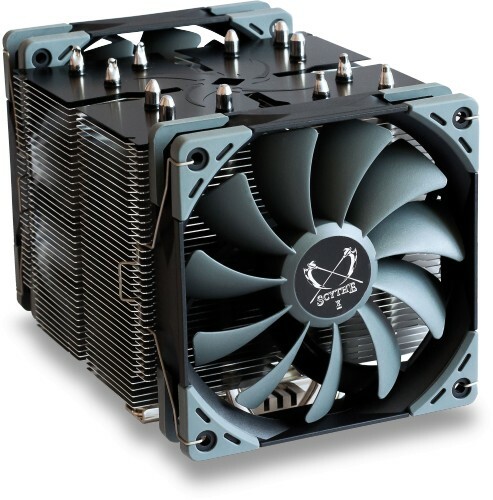 This Dual Fan Design improves the cooling performance without sacrificing low noise levels. The corners of the fans are equipped with rubber shock absorbers to prevent transfer of any vibration. 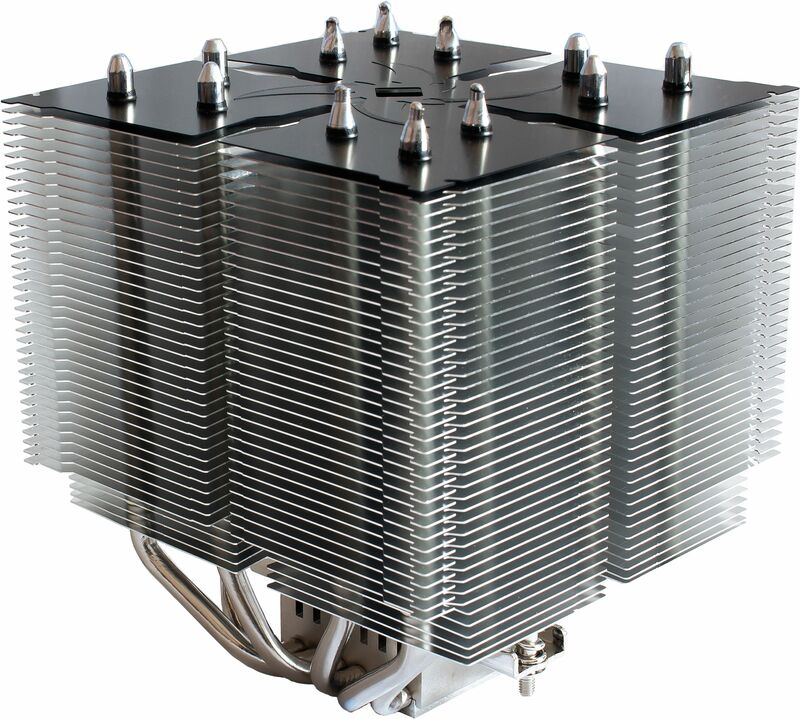 In addition, the shape of the heatsink helps directing the airflow from one fan to the other, thus creating a better heat transfer and dissipation by using the Push / Pull principle.